The Social Justice & Mission Team (SJMT) of Session is responsible for overseeing the benevolent giving of our church and the outreach efforts of our congregation. This is accomplished by providing opportunities for the congregation to give their time, talent and resources to further the church’s mission, locally and throughout the world. SJMT serves as a clearinghouse for information, opportunities and a funding source for several regular mission projects and conducts special mission offerings such as One Great Hour of Sharing and the Christmas Joy offerings. SCPC has been asked to come, serve and get to know the girls of “Hekima Place”. A home for 40 at risk girls located in rural Kenya, Hekima Place is committed to “serving the needs of vulnerable Kenyan girls by providing a safe, faith-based, loving home that supports excellence in education and empowerment for their futures”. While there we will be providing improvements to the water system, building more sustainable structures for animals and farming, assisting in the creation of a new school, and building relationships with those who live there. All of this is with the intention to continuing that support and dedication after returning home. For years the Kirsch family has had a close relationship with Hekima, traveling there multiples times to serve for up to 3 months. 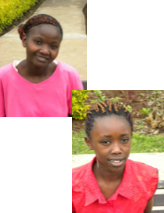 They brought that relationship to SCPC so that our church has sponsored two girls, as well as other members who were inspired to help after a visit by Hekima’s directors in 2017. In this way the SCPC-Hekima Place relationship has grown along with our appreciation for its mission. Now, as Hekima Place seeks to double the number of girls who are served, we have been asked to come to Kenya and help directly with our time and talents. 14 mature individuals, ages 16 and up, with a work ethic. Applicants will be approved on a first come basis. Estimated at $1400 per person. Team members are expected to contribute as much as possible with a minimum of $500 per person. Each member is also expected to participate in regular preparation meetings as well as fundraising efforts throughout the year before the trip. A trip like this can’t happen without lots of support from the SCPC community. Keep an eye out for upcoming fundraisers and opportunities to sponsor team members on the “mission board” in the office hall. Please mark any one time contributions with “Hekima” in the subject line. While many of us are able to enjoy the summer as a time to vacation with special trips and plans, such opportunities are not possible for some of SCPC’s nearest neighbors. The Borough’s shelters are only blocks away from our church: Housing Transitions’ Centre House, Youth Service Bureau’s Burrowes Street Youth Haven (which also stores supplies for Stormbreak and Independent Living), and the Centre County Women’s Resource Center. Residents of these shelters cannot make summer vacation plans, and the nonprofit agencies that operate the shelters reach the end of their fiscal year budgets during the summer, after finding it difficult to meet basic operating needs. To support both residents and agencies, SCPC’s Mission Ministry Unit is renewing the “Christmas in July” program that has been done in the past and is asking for your support in making it successful again. Visit the bulletin board in the hallway between the Sanctuary and the office during the month of July to choose items to donate to these deserving shelters. Not only will you be fulfilling a need in our community but you will have an opportunity to meet some of our neighbors. Matthew 19:19 ~ You shall love your neighbor as yourself. Are we being good stewards of God’s creation? Are we, in our personal lives, attending to the resources we consume? Are we mindful of whether our church’s or our individual actions contribute to a sustainable community rather than consuming resources in a way that is not sustainable? Are we using our church’s financial resources wisely to promote sustainable practices? What guidance can we find in Scripture about “living green”? A group of church members representing staff, the Mission Ministry Unit, and the Building and Property Ministry Unit has begun to use such questions to determine what steps, if any, our church might take to help us better conserve resources, learn from other churches’ sustainability efforts, and potentially serve as a model that other churches might follow when seeking ideas for sustainable practices. replacing 5 old windows in the church office will achieve additional energy efficiency? If you would like to be part of this ongoing conversation, contact Liane Roe to learn about upcoming meetings. All are welcome! Every third Sunday of the month is Food Bank Sunday. Congregation members are encouraged to bring in food donations or grocery store gift cards to Church with them on that Sunday. Each month the State College Areas Food Bank provides us with a list of items that are most needed, which is then published in the Sunday Bulletin. Donations can be dropped off at the parking lot entrance (inside the credenza) and the Fraser Street entrance (the blue bins marked Deacons). The Board of Deacons delivers the donations to the Food Bank each month. Each year, SCPC donates several hundred pounds of food as well as monetary gifts. The canvas bags that the Deacons provided for shopping are meant to be a way to conserve the amazing resources of our earth by being reusable and share-able. If you have bags at home, or in your car, please return them to a rack in the entry ways so that others may fill them as well! The Angel Tree and accompanying boxes of angels on the bridge arrives in mid-November. Each year the Social Justice and Mission Team of SCPC collects “wish lists” from several local agencies including, Youth Service Bureau, Centre County Women’s Resource Center, Park Forest Preschool, Windy Hill, Centre Volunteers in Medicine, and many others. We hope you will participate! Detailed instructions for signing up to provide gifts and how to label them are included in the Sunday Bulletin. The Angel Tree has been a wonderful mission effort from our church family to the local community for many years. Please join us and help support our neighbors during this advent season. Housing Transitions, Inc. is an extensive program that provides immediate, short term housing for anyone who becomes homeless, and an extensive service of aid and educational programs to prevent the loss of one's home. Housing Transitions is on the verge of launching a building campaign that will fund an addition to their overflowing shelter, Centre House, located near the corner of Pugh St. and Nittany Ave., for folks who need assisted living. The historic roots of Interfaith Human Services also extend all the way back to SCPC. It offers fuel and utility assistance for families in need, money management counseling and services, emergency financial aid, and a wonderful furniture recycling program. We have SCPC members active on all of these agencies' boards as well as within their programs. For more information, contact Mike Ozaki, Associate Pastor for Mission and Youth (238-2422). Habitat for Humanity of Greater Centre County, an affiliate of Habitat for Humanity International, builds simple decent, affordable houses in Centre and Clinton counties in partnership with qualified families and the community. State College Presbyterian Church is a Habitat partner. Our partnership agreement stipulates that we will: pray for the Habitat ministry; provide volunteers for construction projects, committees and the office; provide financial support; share the message about the Habitat ministry throughout our community; and support and participate in Housewalk. Centre House provides shelter and food to folks who are experiencing homelessness or are in crisis, but also guidance to reach a more stable housing future. Residents must be over the age of 18 unless accompanied by a parent or legal guardian, or legally emancipated. The Centre House shelter is located at 217 East Nittany Avenue and open 7 days a week, 24 hours a day and is staffed 24 hours a day. There is no charge to stay at Centre House. Volunteers are asked to arrive at around 5 pm on the assigned Friday with all of the makings to prepare a meal. A phone call by the volunteer to Centre House on the day before will provide information about the number of residents to expect as well as any dietary restrictions that may exist. The volunteer(s) will involve the residents (who are required to participate as part of the conditions of their residency) in the food preparation and cooking as well as setting the table, etc. Everyone then sits down and enjoys the meal together. The residents are responsible for cleaning up after the meal. The typical time commitment for volunteers is approximately 2 hours. The kitchen at Centre House is fully stocked with pots, pans, cooking and food prep utensils as well as some basic ingredients like oil, butter, salt and pepper, etc. If you, you and your family, or you and some group of friends/relatives would like to volunteer to prepare/share a meal, please contact Mike Cullin 814-571-9157. Other Mission Opportunities – Various other mission opportunities present themselves throughout the year. You are encouraged to read and learn more about them as they are presented in the Sunday Bulletins and the monthly PresbyPost Newsletter. One of the greatest challenges for persons seeking affordable housing is that of being able to meet the burden of getting established in a rental property. Most require first and last month’s rental payment as well as a security deposit. This can result in an upfront cost of $1800-3000.00 for an already financially challenged family. Working in partnership (discipleship) with local banks, the Centre Foundation, area landlords, and supporting social service agencies, SCPC has established the Security Deposit Guarantee Program (SDGP). The SDGP provides advocacy and serves as a resource for both the client seeking low-cost decent housing and the landlord seeking a reliable tenant. For agency referred and SDGP clients, participating landlords agree to accept the SDGP’s Funding Group’s limited guarantee as a security deposit in lieu of an escrow payment. This guarantee is assured by local banks’ community reinvestment commitments. Funds are held by the Centre Foundation. A unique partnership has been established to assist those who seek to establish themselves in our neighborhoods and communities through decent safe housing. Seems like something Jesus might have had planned in his great sending out. Yet the partnership does not end there. Now you are being called. As part of the program each client will be partnered with a mentor team: one or two lead persons, and one or two others, who can act as resources. This mentor team will establish a relationship with the client and walk with them through the journey of housing security. The SDGP anticipates starting a small pilot program in early 2014. To do this we need 10-12 individuals willing to participate in the mentoring program. Mentors will be trained by Jean Collins and others. Please prayerfully consider your “going out" by becoming a mentor. Contact Mitch Kirsch or Mike Ozaki of the Social Justice and Mission Team for more information and/or to get involved.